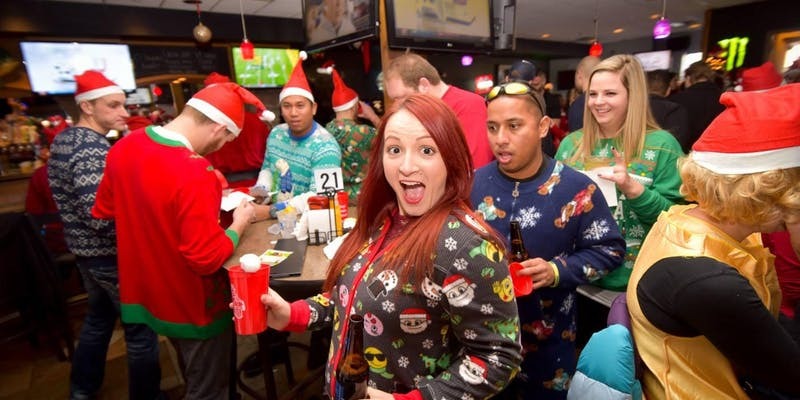 The 12 Bars of Christmas Crawl is coming to town. Put on your best holiday onesies, Santa suits, ugly sweaters, and elf costumes and get ready to crawl! You'll receive your 16oz Santa Stadium Cup, Santa hat and wristband. If you can't make it by 3pm have a friend pick everything up for you and they will need to have your ticket.- Santa Hat for online orders only while supplies last!